Posted on March 25, 2019 by Shaun OConnor in Natures Healthbox and tagged Natural Healthcare > Pregnancy & Fertility, Natures Healthbox, Zita West, Zita West VitaFem 90 Capsules. Posted on March 25, 2019 by Shaun OConnor in Natures Healthbox and tagged Natural Healthcare > Pregnancy & Fertility, Natures Healthbox, Zita West, Zita West Vital DHA 60 Capsules. Zest Sundried Tomato Pasteis an essential culinary ingredient – use instead of tomato purée when called for in recipes.170g.Suitable for vegans and vegetarians.May contain nuts.May contain peanuts. 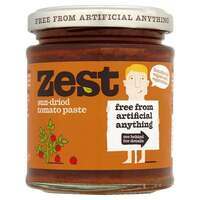 Posted on March 25, 2019 by Shaun OConnor in Natures Healthbox and tagged Food > Store Cupboard Essentials, Natures Healthbox, Zest, Zest Sundried Tomato Paste 170g. 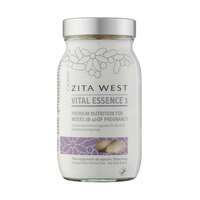 Posted on March 25, 2019 by Shaun OConnor in Natures Healthbox and tagged Natural Healthcare > Pregnancy & Fertility, Natures Healthbox, Zita West, Zita West Vital Essence 1 90 Capsules. 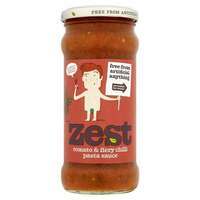 Zest Tomato & Fiery Chilli Pasta Sauce is a fiery sauce made with Jalapeño peppers and chilli powder but made without added starch or sugar, to bring life and flavour to all Mexican style dishes.340g.Great for adding to red kidney beans and serve with rice and tacos or use as a base for chilli con carne.Superb as a salsa dip with tortilla chips.Suitable for vegans and vegetarians. 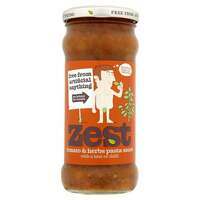 Posted on March 25, 2019 by Shaun OConnor in Natures Healthbox and tagged Food > Cooking Ingredients > Pasta Sauces, Natures Healthbox, Zest, Zest Tomato & Fiery Chilli Pasta Sauce 340g. 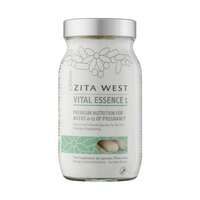 Posted on March 25, 2019 by Shaun OConnor in Natures Healthbox and tagged Natural Healthcare > Pregnancy & Fertility, Natures Healthbox, Zita West, Zita West Vital Essence 2 90 Capsules. Zest Tomato & Herb with a Hint of Chilli Pasta Sauce is a rich tasting, full flavoured sauce made with a hint of chilli, but without added starch or sugar.340g.Pasta sauce with tomato, herbs and chilliSuitable for vegans and vegetarians.Delicious hot on pasta, as a topping for pizzas, or poured straight from the jar as a base for chilli con carne. Posted on March 25, 2019 by Shaun OConnor in Natures Healthbox and tagged Food > Cooking Ingredients > Pasta Sauces, Natures Healthbox, Zest, Zest Tomato & Herb with a Hint of Chilli Pasta Sauce 340g. 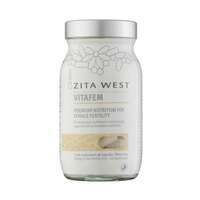 Posted on March 25, 2019 by Shaun OConnor in Natures Healthbox and tagged Natural Healthcare > Pregnancy & Fertility, Natures Healthbox, Zita West, Zita West Vital Essence 3 90 Capsules. 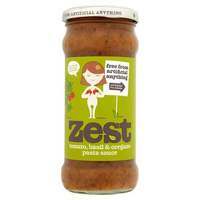 Zest Tomato, Basil & Oregano Pasta Sauce is a rich tasting, full flavoured sauce with fresh garlic and herbs. Made without added starch or sugar.340g.Tomato, basil & oregano pasta sauce.Suitable for vegans and vegetarians.Contains Sesame Seeds.May contain nuts.May contain peanuts.No added sugar. Posted on March 25, 2019 by Shaun OConnor in Natures Healthbox and tagged Basil & Oregano Pasta Sauce 340g, Food > Cooking Ingredients > Pasta Sauces, Natures Healthbox, Zest, Zest Tomato. 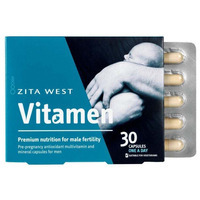 Posted on March 25, 2019 by Shaun OConnor in Natures Healthbox and tagged Natural Healthcare > Pregnancy & Fertility, Natures Healthbox, Zita West, Zita West Vitamen 30 Capsules.